The new version of the Da Ming DM107S looks like an impressive drone for under $50. It is the second version of this Spark look-a-like drone. How does it stack up to the original drone? Initially, we thought this would be an improvement over the original DM107S. Afterall it adds a sleek foldable remote and optical flow stability, so it has to be better, right? Wrong. This drone turned out to be quite the disaster. However, we have a solution. The new DM107S is a foldable drone with a foldable controller. Like the original, it was built to be a Spark-like clone. It is small, light and portable. The best addition to this drone is the optical flow camera on the bottom. The original DM107 was a pretty stable drone, but the optical flow sensor helps it maintain its position even better. While it is a solid drone and a good one for a beginner, after its looks it isn’t fair to compare it to the DJI Spark. 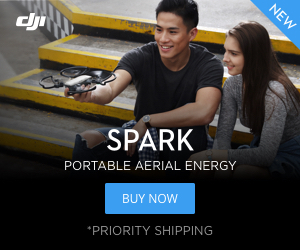 The Spark is an impressive drone with an HD camera on a two-axis gimbal. This is a really nice toy. My first indication that this wasn’t going to go well was when I tried to power on the remote. There isn’t an on/off button. You turn on the remote by inserting batteries. I’m not sure who the genius was that overlooked that detail, but inserted the batteries and connected the drone. Strike One. Initially, it was fairly stable but seemed jittery in flight. I bumped a wall and the drone turned off. Not disengaged, but turned off. I had to go through the process or removing batteries, connecting to WiFi and getting it paired again. Strike two. This time I took it outside for a little more space. The DM107 does push button flips so I thought I’d try them. It flipped alright, but mid flip the drone-powered down and fell out of the sky. Strike three. I’ve flown the drone a few more times, but it still is glitchy. It is not one that I would recommend without DM addressing the issues that the drone has. If you want a small and inexpensive Spark like clone for under $50 then I would recommend the 19HW. It is a similar drone to the DM107S but without the headaches. You can get a good deal from TomTop on one. Take a look at the original Da Ming next to the red Spark and the white 19HW. Should I Buy a DM107S? 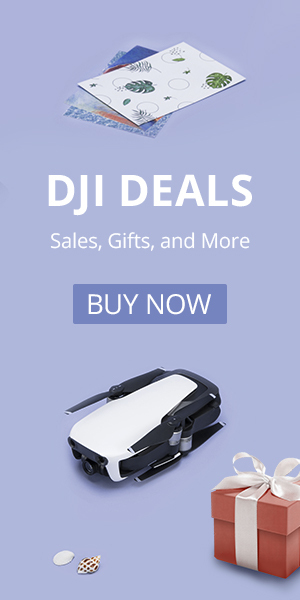 If you are looking for a small and portable drone for less than $50 we would recommend the 19HW over the DM 107S. It is a fun little quad to fly and a definite improvement over the original version of the drone. If you read the directions, you’ll find that the right handle on the controller incorporates the switch…dude they are way ahead of you. BTW did you calibrate the gyros and compass before take off? I bought one in Guangzhou on the weekend and have been having a great time with it at home in Tongren city, Guizhou province today. I haven’t experienced any of the poor issues mentioned in the above appraisal, although I took the time to read the instructions before starting. As Jim mentioned, the switch on the right handle is fairly obvious, as with the initial calibration. I’ve had some spectacular prangs with it today, not having flown a drone before, and it still goes like a dream. Great value for the price.